After reading that you’re ‘done’ writing. Like you, I grew up basting in the trauma, neuroses and antibiotic chicken soup of our unstoppable people, one of the chosen ones, always pushing, probing, head-scratching, brow-beating, shirt rending– chosen for what? To do what?? And why me, as opposed to, say, a non-Jew? I found the answer pouring over the thousands of pages of the 31 books of your New (Jersey) Testament. For better and for worse, to be Jewish is to wander the desert of eternal questions in orthotic sandals, slathered in sunscreen, expecting the worst and striving to be the best. Through a complex but easy-to-read mind-blow of compassion and critique- you strip us down: proud-nosed, insatiable horn-dogs on an exhaustive but infinitely entertaining search for meaning in all this chaos, as we survive and often thrive, no matter what. We Jews seek to overcome enduring insecurity and find a cure for the pain of life, the terror of death and the anxiety and depression that rushes through the bloody history in our veins, engulfing us with such crazy fear that we build walls to protect ourselves. But, there is no protection. Thank you, Philip Roth, with love and squalor. Your literature helps save and redeem us all. I think of Nemesis, your latest and last master-work: set in a Newark Jewish community during the polio epidemic in 1944, it is filled with so much despair, tenderness and hope, it led me deeper into my life, it led me deeper into love, and I am grateful beyond words. A classic never calls it a day, it stands the test of time. You may think you’re ‘done’, but there is no end. Final sentence, ‘Nemesis’ by Philip Roth, 2010, Houghton Mifflin Harcourt. Buy it and weep. Fan my flames, dear people. Visit our GIFTS PAGE: the home of all the art I have to offer in exchange for your donations. One click right here. How exquisite. I so enjoyed hearing and seeing Phillip Roth read from his book, Nemesis!!!!!!!! half a century to figure out and to be ok with finally. 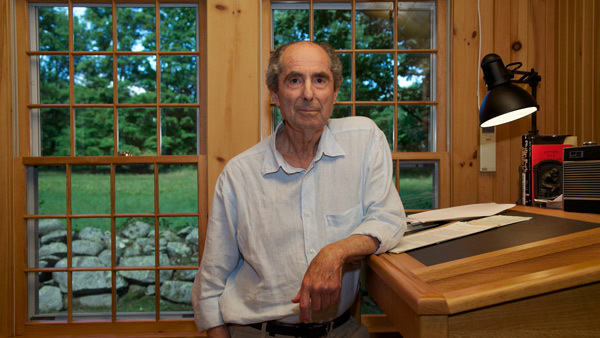 Everything I ever wanted to know about Philip Roth… Great post. I hope you are getting a % of his royalties. If I were to take one with me on my trip to UK and Canaries, which would you recommend. It will be an enervating journey. Roth recently read through most of his work and started with the last book- Nemesis- which I think is a good intro to his work. After that, I’d say, give the man his due; start at the beginning and barrel your way through. I’m not quite sure what the title means, does Jew mean you. I loved the article especially the stuff around Nemisis since i read the book.